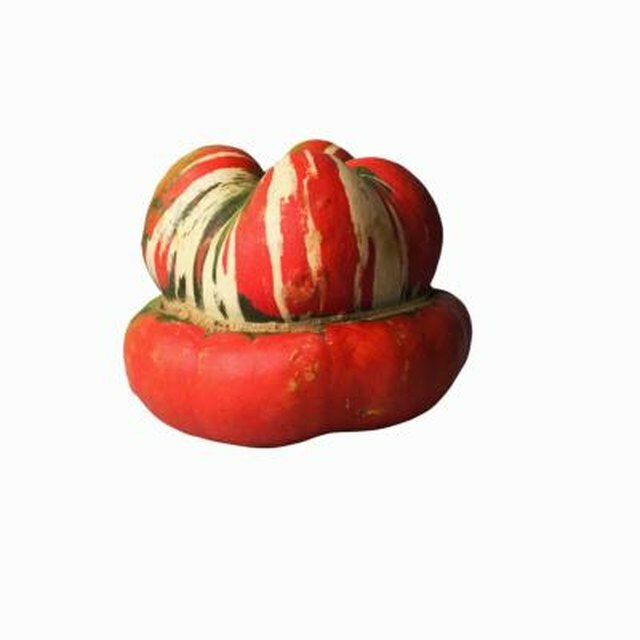 Peter Pan squash often have a light green color and round shape which differs from its sister, the golden-colored Patty Pan squash. 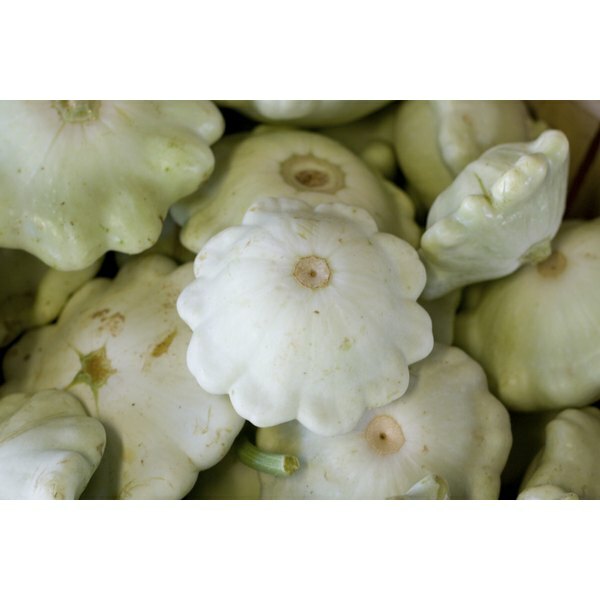 Peter Pan squash is a variety of summer squash that comes in various colors from bright yellow to light green, and many shades between; this variety is round instead of long and tubular like crookneck squash. The skin of the squash is edible and is generally left on during the cooking process, though squash can be peeled with a potato peeler if desired. Serve cooked squash with roasted chicken or baked salmon and potatoes for a simple, healthy meal. Slice the squash into quarters with a sharp knife and place them in a baking dish. The squash quarters should not be piled on top of each other in the baking dish to ensure even cooking. Toss the squash with the extra-virgin olive oil and melted, unsalted butter. Season the squash with sea salt or kosher salt and freshly ground black pepper to taste. Bake the squash in the oven for 10 to 12 minutes. Remove the squash from the oven and transfer it to a serving platter or bowl and serve it while it is hot. Cut the squash in half lengthwise. Brush both sides of the squash with extra-virgin olive oil to taste. Season the squash all over with sea salt or kosher salt to taste. Line the bottom of a broiler pan with aluminum foil. Place the squash in the bottom of the broiler pan with the skin side down. Broil the squash for five minutes on each side. Remove the squash from the broiler and transfer it to a serving platter and serve it while it is hot. Slice the squash into halves, and then quarter each half with a sharp knife. Add the extra-virgin olive oil and melted unsalted butter to the sauté pan and heat the mixture over medium-high heat until it is hot but not smoking. Add the squash and cook it for five to six minutes or until it is lightly browned and softened. Remove the squash from the oven and transfer it to a serving platter or bowl and serve it hot. Check the squash before removing it from the oven to make sure it is cooked to your liking. If you prefer softer squash, it may take more time than recommended. How Many Calories in Baked Yellow Squash?